So many people speak about the impact of having teen drivers on the road again and again. You might be sick of hearing about them. The fact of the matter is – they are dangerous to have on the road. They are those that need a little more training and need to be put in closed off areas so they can practice and take part in real world situations. This is because they would then realize the dangers of the road and not multi-task while driving down it. 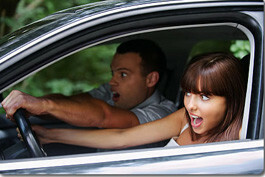 They do not realize that driving is a serious responsibility that they shouldn’t take so lightly. Teens are responsible for many of the accidents on the roads. This is because they are inexperienced and they sometimes do not know their way around. They have never navigated throughout the roads and might be uncertain of their driving abilities. This can cause them to become nervous and doubt the moves that they make. This then causes the other drivers to know predict their moves and crashes happen. Teen drivers are also some of the largest texting and phone users while on the road. This causes them to be distracted with their phone, without having their attention on the road. This causes them to crash or having something serious happen that could have been prevented in the first place. Texting and driving can cause serious accidents to happen to anyone involved. It is best to wait and put your phone away while you’re behind the wheel. Teen drivers are people that you cannot keep off the road but when they are given the right education regarding driving, it is more likely that they will be able to move forward on the road with more knowledge. This might be able to prevent the crashes and accidents that happen on the road. It is better to be safe then sorry. Many parents are urged to let their children know more regarding the driving that they are going to be doing on the road. This is essential since the teens are going to learn through the parents. The parents are the ones that take their children out on the road to practice, which is when the parent should beat the information into their heads about taking each and every precaution when it comes to driving, being cautious and knowing the rules of the road. Now it is time to teach teens the rules of the road, encourage them to not do illegal things while driving and ensure that they, as well as others, are safe while on the road. Without this knowledge, the teen is going to feel like they can do anything that they would like while on the road and this is not a good thing. Keep teens knowledgeable and the roads safe with the right education and backing.